A destination wedding in Puerto Rico is a pretty miraculous thing. Not only do you get tropical beaches and rainforest, but also a charming and historic capital city and great culture. Conveniently, it's part of the United States (no passport required!) and only a few hours from many U.S. airports. Most people on the island speak English, and the modern infrastructure makes planning your wedding comparatively easy. If you've been considering having a destination wedding, but have been worried about inconveniencing your guests or even having important guests not be able to make it, consider getting married in Puerto Rico. The cobblestone streets and glorious cathedral in Old San Juan? The oldest part of the capital city is a charming, full of colonial buildings and 16th-century Spanish forts. Many say that El Convento is the best boutique hotel in the area. As the building used to be a convent, you can hold your ceremony in the chapel or in an outdoor courtyard, before a reception in one of their six rooms that accommodate between 10 and 300 guests. If one of you is Catholic, you can have a ceremony at the Cathedral San Juan. They recommend that you call at least 3 months in advance to make arrangements. The convenience and amenities of a big resort? The island's resorts aren't cheap, but they're ideal for couples who want everything at their fingertips. Your guests will never need to leave the property at El Conquistador, with a world-class golf course, waterpark, tennis, spa, and casino, 31 miles from San Juan. The Ritz-Carlton San Juan Hotel, Spa, & Casino offers a luxury setting for you and your guests, conveniently located close to both Old San Juan and the airport. A bit further away near the island's best surfing and scuba diving spots is the Horned Dorset, another solid option. An adventurous wedding under the canopy of the tropical rainforest? El Yunque is the only tropical rainforest that's part of the US Park Service. Have a small wedding near a glorious waterfall with a soundtrack of coqui frogs' chirrups, then travel east to the beach for a reception at the Rio Mar Resort. Closer by are several small bed and breakfasts, and the rustic Yuquiyu Resort, comprised of artisan-crafted treehouses. You can also rent out the El Portal Rain Forest Visitor Center for evening weddings of up to 175 guests (seated) or 300 (standing). Peak season is from December to April when the warm 80-degree days offer a welcome respite from mainland-U.S. cold winters. It's warm the rest of the year as well, and less crowded. You'll probably want to avoid hurricane season from June to November, as PR does lie inside of the hurricane belt. Many of the big resorts have wedding coordinators and package options to help you easily plan a wedding from abroad. You should also ask about group room rates for your guests. If you're not interested in a big resort, consider hiring a wedding planner who can recommend vendors and make on-the-ground arrangements for you. 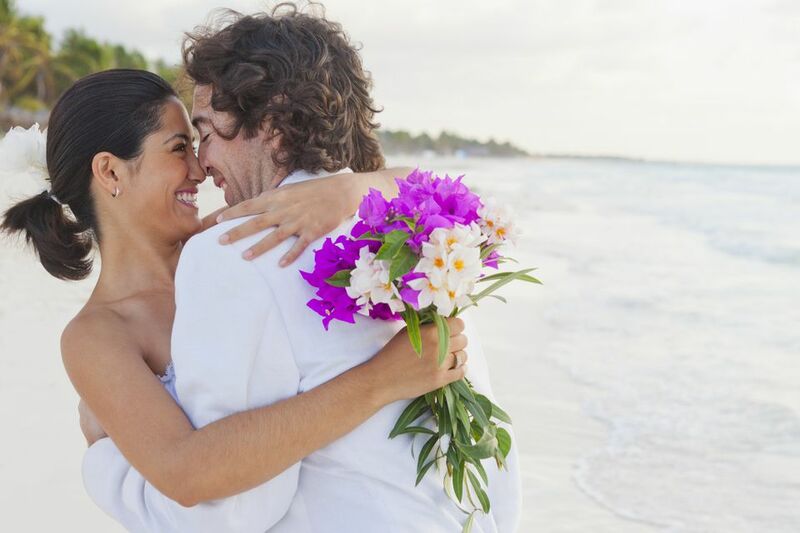 The tourism office can also help you get started with wedding planning.